August 13, 2018 my life changed for the better. 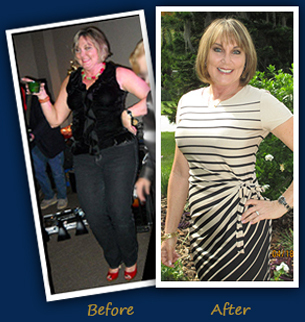 I have tried so many diets as everyone has possibly experienced. They never last long. Dr. Shillingford and his staff are the absolute best. The past 7 months have been amazing. To see my body transform before my eyes is breathtaking. I would do it all over again if I had to. I haven’t had one issue since the day of my procedure. I started at 415 lbs and as of today I weigh 289 lbs. I’ve gone from a size 26/28 to a 16/18 in clothes. I feel amazing! 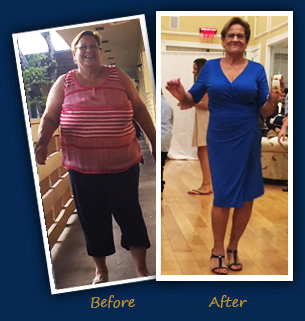 After gastric sleeve surgery with Dr. Shillingford, Laurie lost 105 lbs in just over a year! I am literally almost half the man i used to be. 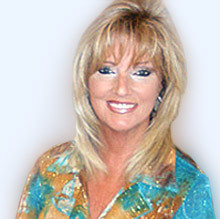 I went to Dr. Shillingford as a very complicated case, he worked with me and reassured me that i was in good hands. Him and his staff are very professional and helpful through every step of the process. They answered every question i asked and kept me updated when needed. Dr. Shillingford saved my life. He took a risk by taking on my case and now i am literally almost half the man i used to be. 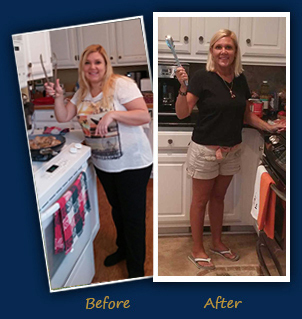 The BEST decision I made in my life was the gastric sleeve. 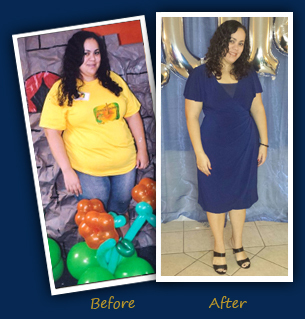 Carmen lost 123 pounds but gained her life and her health back! 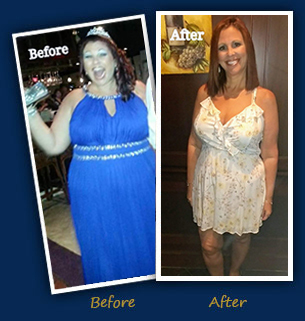 After Losing 70 Pounds with Gastric Sleeve Surgery, Leanna Feels Amazing! 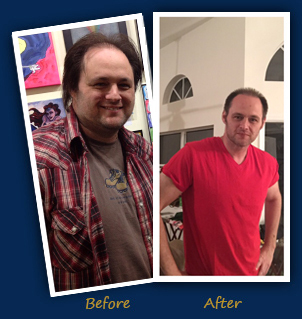 After many many years of yo-yo dieting, I finally made the decision to get gastric sleeve surgery. 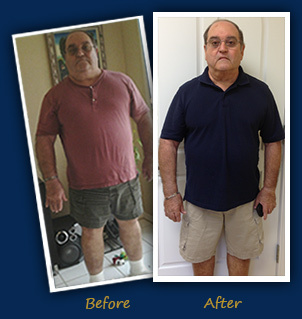 I was referred to Dr. Shillingford and his staff from a friend who highly recommended him. I went in for my consultation eager and excited and left with my surgery scheduled 2 weeks later. Dr. Shillingford, his office staff, and entire team were amazing from day 1. The surgery was better than I ever expected and I was able to go back to work (Office Manager) a week later. 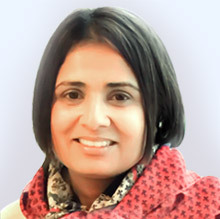 Dr. Shillingford’s staff is still helpful and there to answer any questions today. 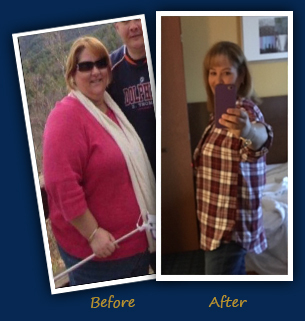 I am 5 months post op, 70 lbs lighter and every day wake up feeling amazing and so glad I finally made the decision to get gastric sleeve surgery. There is nothing I would change about my decision except I should have done it years sooner. I can not say enough great things about Dr. Shillingford and his entire staff. They are amazing. 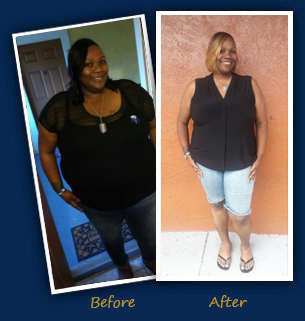 The Gastric Sleeve was the best thing I ever did for myself. 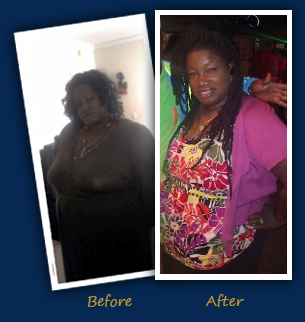 I am coming up on my 1 year anniversary and I went from a size 26 to a 12 so far and still losing. I just signed up for my first 5K, too. I highly recommend this surgery and Dr. Shillingford. He has such a great bedside manner and is so patient and was always available when I had a question or concern. I always felt like I was in the best hands. I have never been this happy in my entire life. I wish I had done this years ago. February 18th became the first day of the rest of my life. 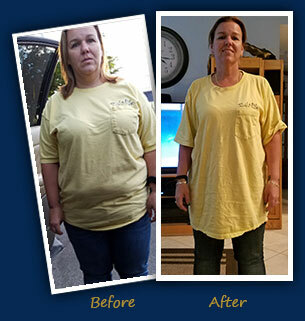 Dr. Shillingford performed the gastric sleeve procedure on me. I highly recommend this surgery and Dr. Shillingford. I can not say enough about him as well as his wonderful, caring, and compassionate staff. 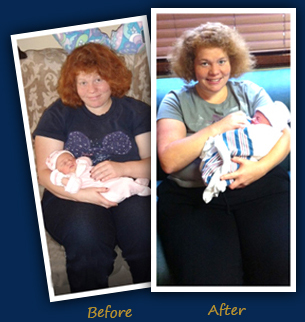 My starting weight was 203 pounds. 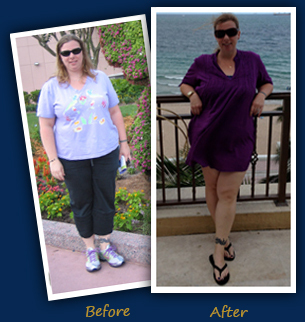 I am thrilled to say that I have lost a total of 71 pounds since my surgery and the number continues to drop! I feel healthy and I have so much more energy, which in turn makes me a much happier person. 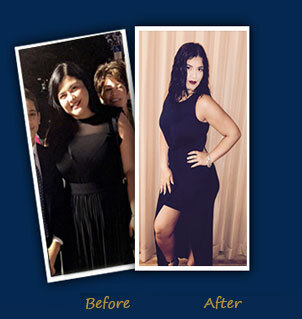 I recommend this surgery and this life-changing experience to anyone who is considering it! 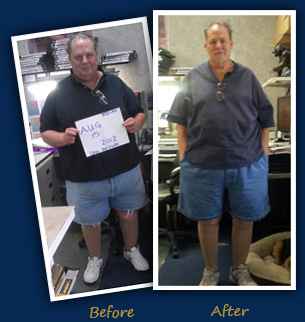 He Lost Over 100 pounds! 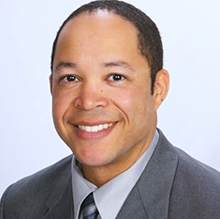 I was extremely impressed with the care I received from Dr. Shillingford and his staff. The process ran smoothly and recovery was a breeze. 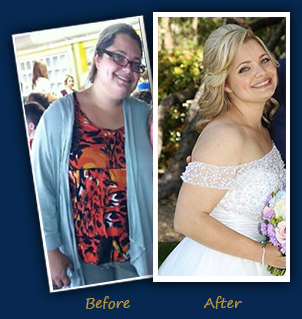 Naturally, I was a bit nervous at first and had doubts about whether or not I wanted to pursue gastric sleeve surgery. Looking back it was the best decision I could have made for myself as well as my family. 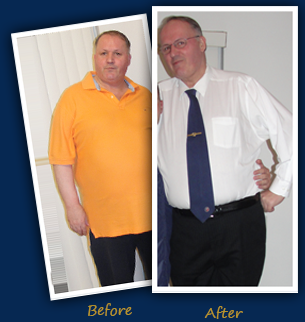 I would highly recommend Dr. Shillingford to anyone who is considering having any form of weight loss surgery. Roberta Got Her Life Back! What an amazing experience! Dr. Shillingford is kind, thoughtful, and a consummate professional. I credit him with giving me my life back. Along with Dr. Shillingford, there is a fine staff of individuals available to answer questions, address concerns, etc. I am so happy to have found Dr. Shillingford. He’s simply the best! 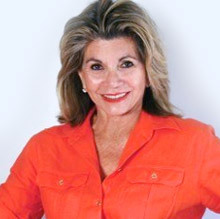 From the moment I first spoke to Nancy over the phone when I first inquired, I knew if I was going to do this, I was going to see Dr. Shillingford first. 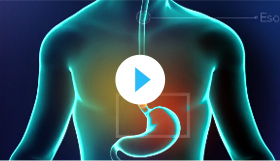 After meeting with Dr. Shillingford, I was amazed at how pleasant and willing he was to make sure I understood everything about the Gastric Sleeve procedure and my responsibility to be a success. I left very sure this was for me. After surgery, I recovered so fast I wanted to go home on day 2 but Dr. Shillingford, being a great doctor, made sure I got my full 3 days of care. I was able to walk around one day after surgery and am now able to walk on the treadmill 30 minutes a day. 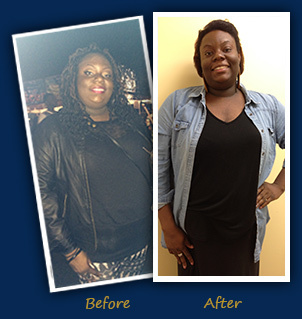 The gastric sleeve was the best option for me, and I’m so happy I did the surgery with Dr. Shillingford. 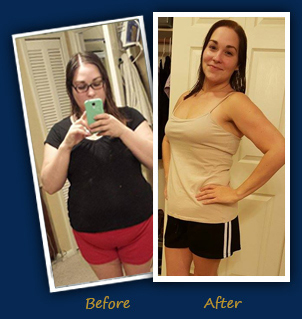 I have lost over 60 pounds in less than a year and feel better than ever! My life has completely changed, but the best part is my insides are still the same. Love! Love! Love! this office! 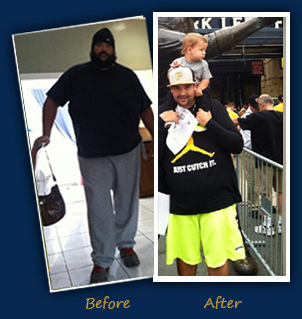 Jason Lost 70 Pounds and 10 Inches! 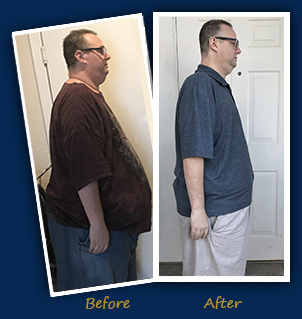 Since my initial visit to Dr. Shillingford one year ago for the gastric sleeve, I have lost about 70 pounds, and managed to keep (most of them) off. My suit jacket size has gone from a 52 to a 44, my pants from a 44 inch waist to a 34, and shirts from XXXL to Large, so the change feels like it was much more than 70 pounds. I know people always say this, but I do wish I’d done it sooner. Even though I wasn’t enormously huge, and I didn’t have pressing medical issues (yet), today I still feel like a completely different person than I was. My eating life is very much back to “normal” now in that I can eat like a normal person in social situations, but thankfully not nearly the volume I used to eat. And it’s given me the ability to turn eating on or off; I can eat a lot over a holiday weekend and then go back to food restrictions the next week without a problem. It’s pretty cool. I do go to the gym, but not obsessively; my food intake is small enough that moderate gym activity does the trick. 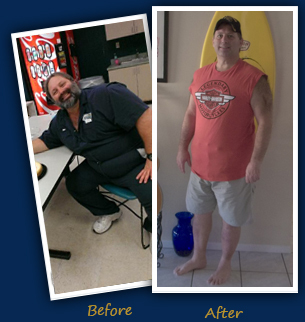 I wanted to say thank you to Dr. Shillingford for his help, and for improving my life. Both his staff and the hospital staff were always on top of things and made recovery pretty much effortless. 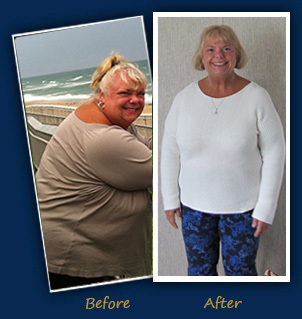 I would recommend Dr. Shillingford and the gastric sleeve procedure to anyone! Mike Used Dr. Shillingford Twice! 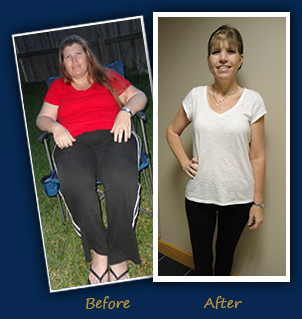 After Years of Struggling to Lose Weight, Colleen Finally Did It With Gastric Sleeve Surgery! 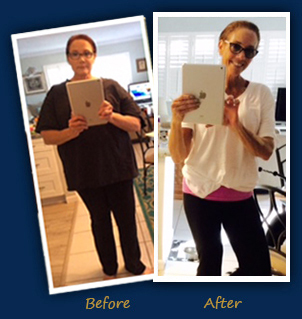 “All I have to say in regards to Dr. Shillingford is THANK YOU! He is simply the BEST and above the rest! 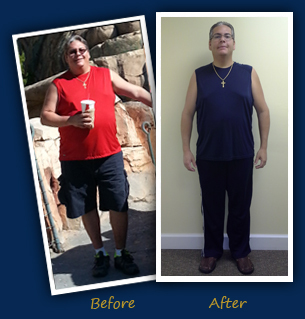 I was going into this lifestyle change a bit nervous, but with him and his office manager Nancy…. All was well! From the insurance procedure, to paperwork, to the counseling, and those last minute phone calls because I was so nervous and they were so patient. Nancy is the most sweetest, compassionate, person ever and I truly thank God for them both! If they ever need me to speak at any event… I am just a phone call away!